We are approaching the final countdown to the Cheltenham Festival now and with only two weeks left to go until the biggest four days in jump racing, the preview season is now upon us. Indeed, as usual I will be featuring on the panels at Exeter and Taunton racecourses on 6th and 9th March respectively and they are normally informative and entertaining affairs. Furthermore, they benefit good causes so I would encourage anyone who has not been before to take a look – details can be found on their websites. With Cheltenham now only three weeks away, I remain pleased with the form of the horses. Indeed, with three winners last week taking our tally to 26 and a whole host of other creditable performances, I am very much looking forward to getting the four biggest days on the jumps calendar underway. With most of the trials now behind us and the bulk of the preparation done, it is now more a case of keeping the horses ticking over. Just as I have finished writing this it is great to get a winner at Plumpton this afternoon with Eamon An Cnoic! 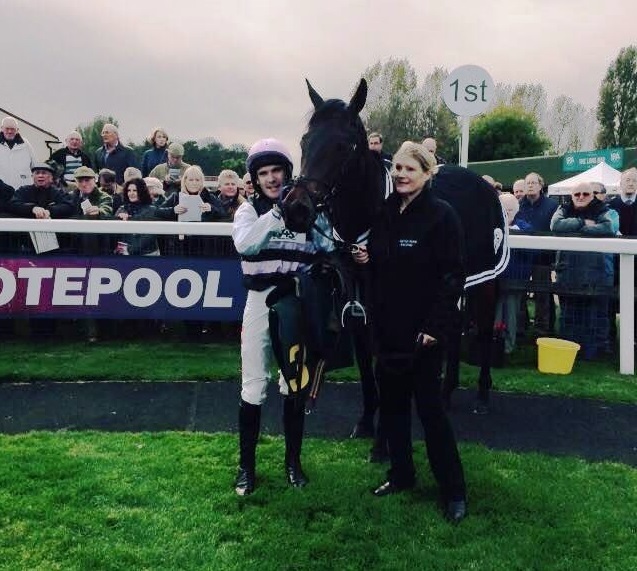 This was his second win over fences this season and he bounced back from a below par effort last time. 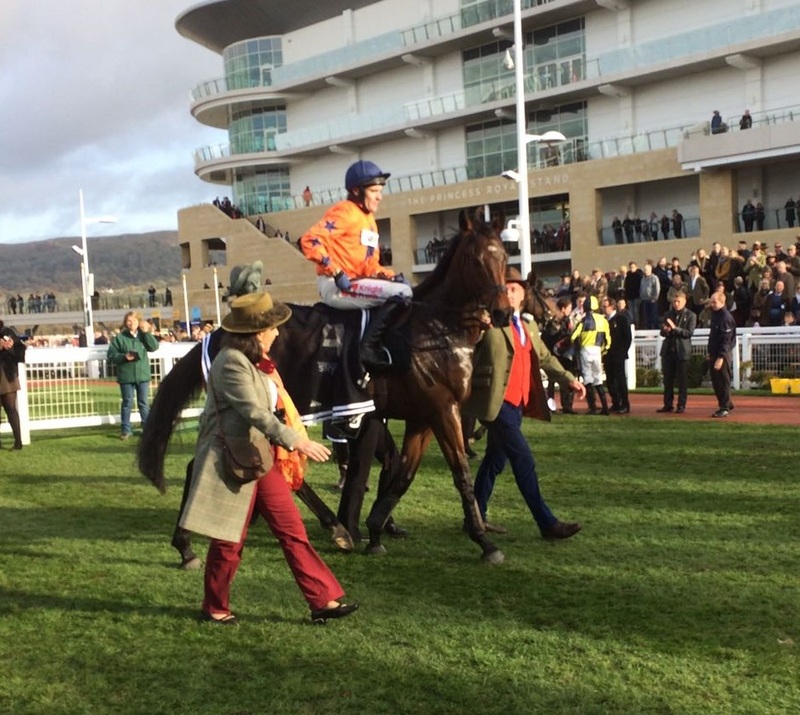 Tom Scu gave him a nice confident ride and he was giving twelve pounds to the runner up so it is a good performance. He will be better on a more galloping track and I hope there is a bit more to come from our seven year old over the larger obstacles. 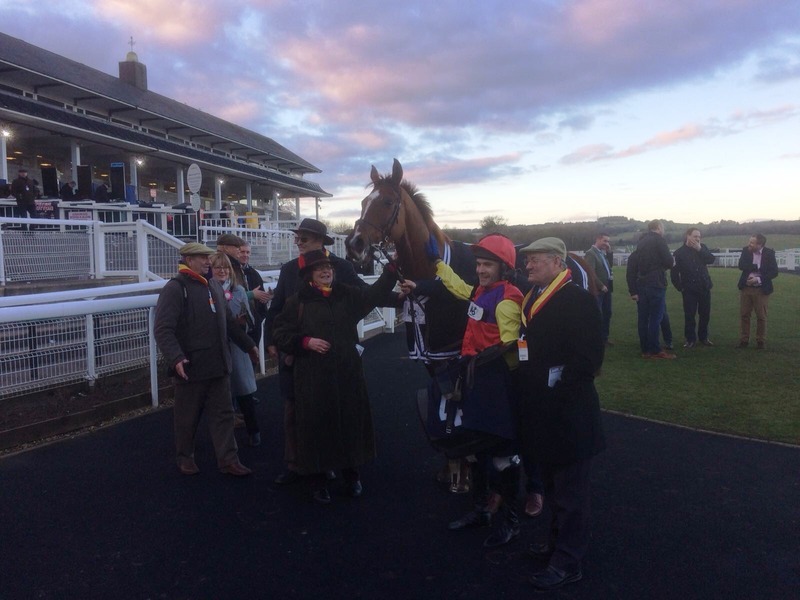 I was pleased to be on the scoreboard again last week following the success of promising former Irish recruit Remastered in the bumper at Chepstow on Friday. The countdown to the 2018 Cheltenham Festival continues apace and with five weeks remaining until jump racing’s blue riband it is good to keep the tally ticking over. Our racing week was curtailed somewhat when Fontwell was abandoned on Sunday due to heavy rain leaving the course waterlogged in places. That left us with just three runners during the course of the week and I was pleased to be on the board with the success of Taj Badalandabad (pictured above) at Huntingdon on Friday, while our other two runners both performed creditably to fill the runner-up position. With just six weeks to go until the Cheltenham Festival I am pleased to see the horses in good order and going well on the track. 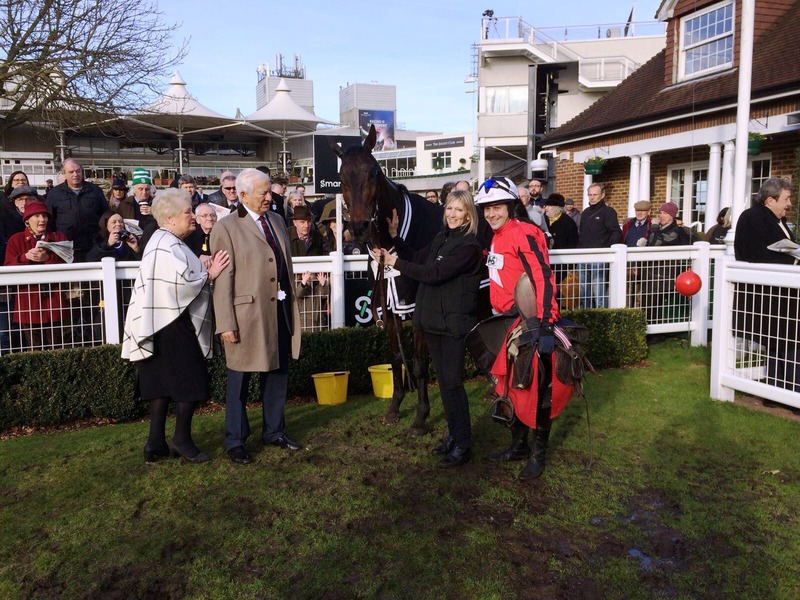 Last week was a good one for the stable with winners at Newbury and Chepstow taking our seasonal tally to 21. Those scorers; Friday Night Light and Ramses de Teillee are promising young horses who look to have bright futures over hurdles and fences respectively and I am looking forward to many more big days with them. Last week was a quiet one with only three runners over the sticks and while it is a similar story to begin this week, things pick up with plenty of entries from midweek onwards. Looking back to last week, I thought Broadway Buffalo took a step in the right direction at Taunton when a close fifth in the staying handicap chase. Following a long absence, I was a little disappointed by his reappearance effort in the Tommy Whittle Chase at Haydock last month but this was much more like it. Racing prominently throughout, he jumped and travelled much better and stuck to his task well in the closing stages despite conceding weight to all of his rivals. Hopefully he will be able to build on this again and he still looks capable of making his mark in nice handicap chases where stamina is at a premium. The first day of the New Year was a busy one for the stable with five runners at Exeter, although the inclement weather, downpours and freezing temperatures have since started to play havoc with the fixtures list. 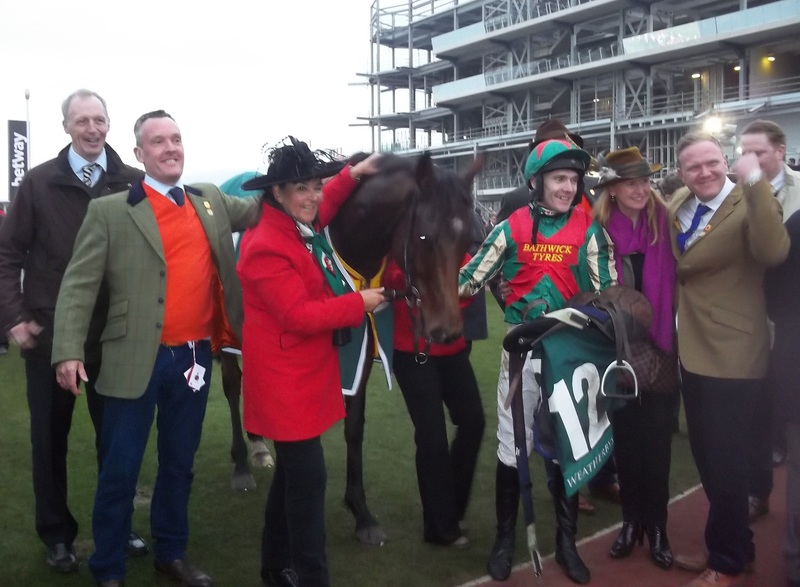 We are yet to make it onto the scoresheet this calendar year, although there were a number of notable performances to mention, not least from Rathlin Rose who outran his odds in the Welsh National at Chepstow on Saturday. 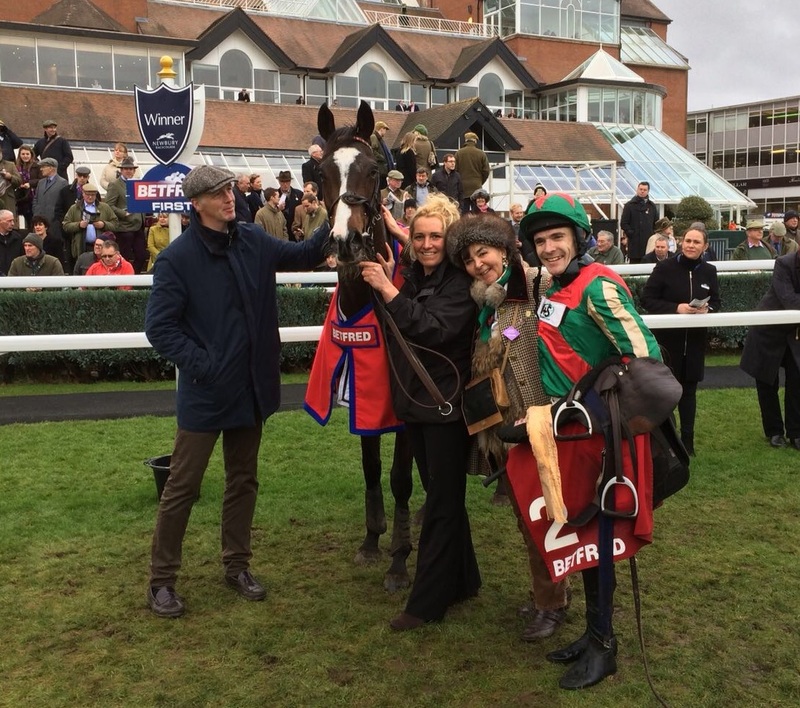 A couple of winners at Newbury and Uttoxeter on Saturday and Sunday was a nice way to bring 2017 to a close. It has been something of a frustrating year for the team – the obvious high point was the incredible back-to-back victory of Un Temps Pour Tout in the Ultima Chase at the Cheltenham Festival back in March, while the low also came at the Prestbury track when we lost the wonderfully talented Starchitect with victory all but assured in the Caspian Caviar Gold Cup last month. All in all I will not be sad to see the back of 2017, but the pieces are in place for 2018 to be considerably better and I am looking forward to getting started. 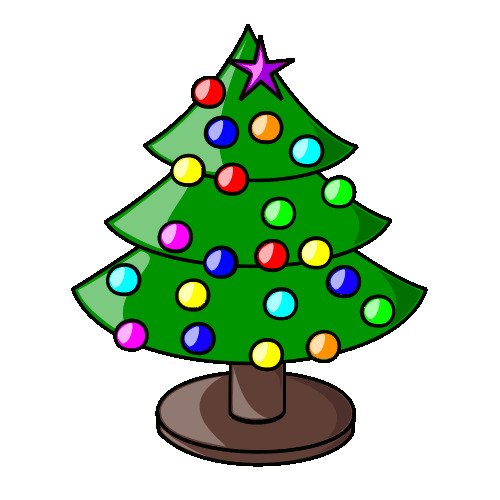 With it being Christmas Day, I hope you will all excuse me an abridged weekly blog. I am sure as the week goes on some of the pictures from our staff party on Christmas Eve will come to light and I will be happy to add those as they emerge! One thing is for sure, with three small children in the household, I have the feeling that it is going to be an early start today!